Who fights the fires? You do! 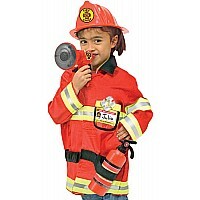 Make believe is even more fun with this realistic outfit. 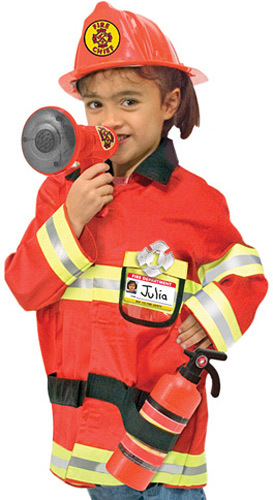 Fire Chief includes official-looking jacket, helmet, badge, fire extinguisher and bullhorn (with sound effects!). Machine washable. Let’s get to work! For ages 3-6 yrs.